THE BLUE NOTE LIBERTY YEARS (1966-70): a collector’s view. Serious collectors often focus on “original Blue Note”, records manufactured prior to the sale of Blue Note Records to Liberty, sought-after first pressings in mono, some of which command prices in four figures. However Liberty still has much to offer the Blue Note collector. In 1966, Blue Note Records Inc, the iconic record label and greatest catalogue of jazz recordings of all time, was sold to the giant Liberty Records Inc., and “Blue Note Records, a Division of Liberty Records Inc.” was born. 4250 Horace Silver’s The Jody Grind was the last official original Blue Note release, though many lower catalogue numbers went on to be released later. There was a continuing stream of new recordings released during the Liberty years, and many reissues from the Blue Note back catalogue, some sourced from the original Van Gelder masters, which are not as costly as “originals”. 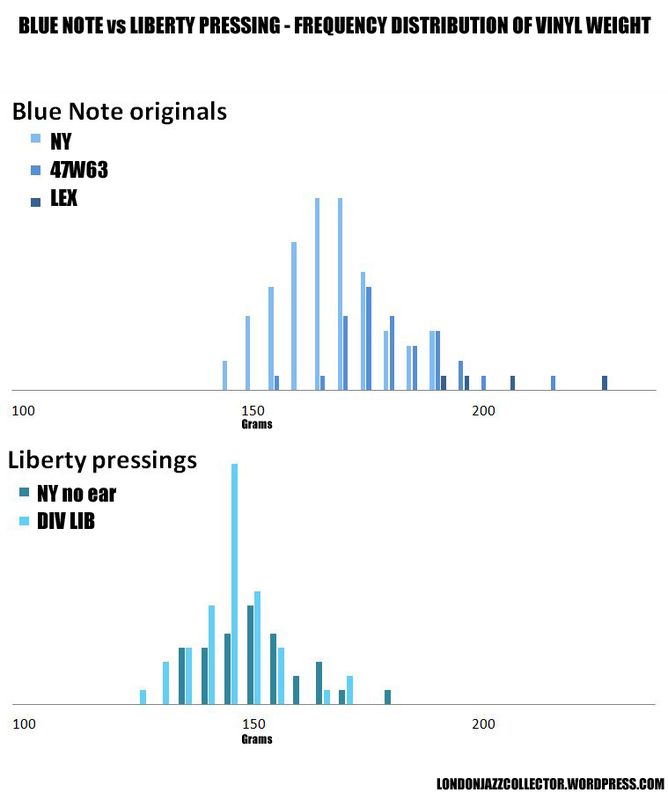 However not all “Division of Liberty” pressings are equal: reissues pressed on the West Coast were mostly re-mastered locally from copy tapes, not from the Van Gelder masters, so it is important to be aware of the different ways in which Blue Note Records were manufactured during the Liberty years, and learn to recognise their origin. The first visible change following Liberty ownership was the end of the relationship with Plastylite, which went back to the 1940’s . Vinyl pressing transferred to Liberty’s two recently acquired pressing plants, All-Disc, Roselle, N.J. and Research Craft L.A., acquired the preceding year, and subsequently to a variety of third parties, as tight industry capacity dictated. The current “All Disc Records, Inc”. was at one time “Liberty Records Mfg. Co.”. Note the All Disc first company filing date – June 1st, 1966. Plastylite Corporation, 333 North Drive, North Plainfield, NJ 07060. The Plastyite “ear”, an inverted cursive letter “P”, disappeared from the run-out of all subsequent pressings. Little is known of what became of Plastylite. The Cash Box 1969 Industry Directory still has Plastylite listed under “Record Pressers”. At the time of the sale, thirty five Blue Note titles were awaiting release. Those titles, recorded and mastered by Van Gelder and allocated a chronological Blue Note catalogue numbers (Full listing here) included important titles by Art Blakey, Wayne Shorter, Andrew Hill, Bobby Hutcherson, Joe Henderson and others. These were released for the first time in the second half of 1966, many in both mono and stereo format. All-Disc took delivery of any old stock Blue Note labels and covers bearing the earlier 43 West 61st Blue Note addresses. The final “27 Years” inner sleeve accompanied many of them. The recordings bear the VAN GELDER stamp in the run-out, everything says “Blue Note” but the Plastylite ear, which was applied during pressing, is absent. In addition to the 35 titles awaiting release, Liberty began to release the first stereo edition of titles previously issued only in mono. This included some recordings electronically reprocessed for stereo from single track tape (early 1500 series), others sourced from Van Gelder’s two-track tapes intended for mono, “hard-panning primitive stereo”. It is not unusual to find a title whose mono edition is with Plastylite ear and its stereo edition without. Liberty continued a programme of over 300 new Blue Note releases in the 4000 series, from BN 4250 up to 4435. 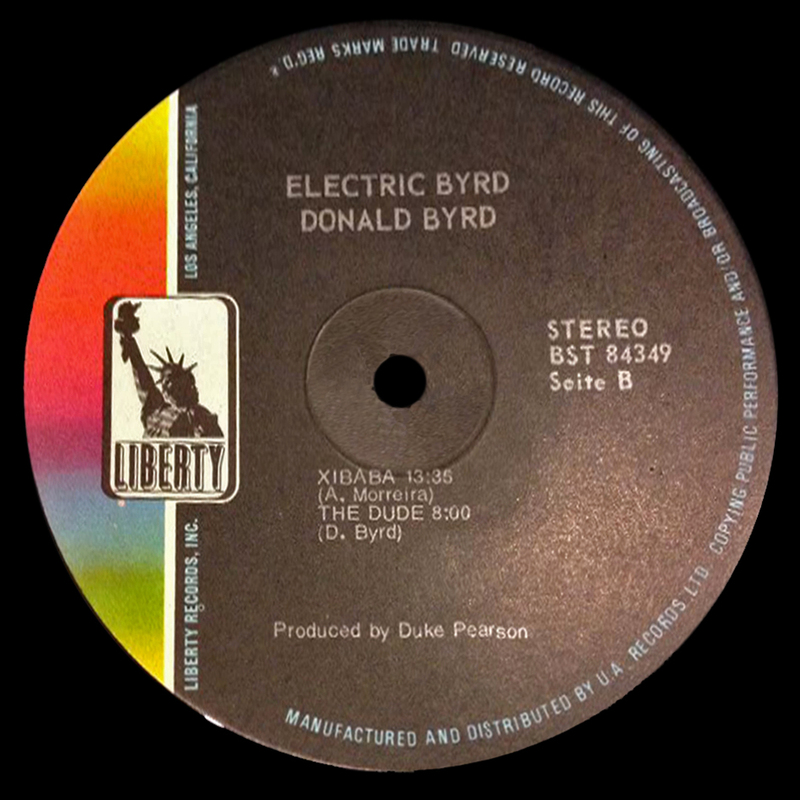 Many were recorded at van Gelder’s Englewood Cliffs Studios, featuring artists such as Duke Pearson, Big John Patton, Lou Donaldson, Bobby Hutcherson, McCoy Tyner and Hank Mobley, all of which recordings have their first release on “Division of Liberty” labels – “Original Liberty 1st press”. Sadly, a good number of Blue Note’s original artists fell out of favour with Liberty, moved to Europe, or became deceased. The Liberty artist roster veered towards the West Coast, and soul-jazz genre. Reissue of the Blue Note back catalogue by Liberty. 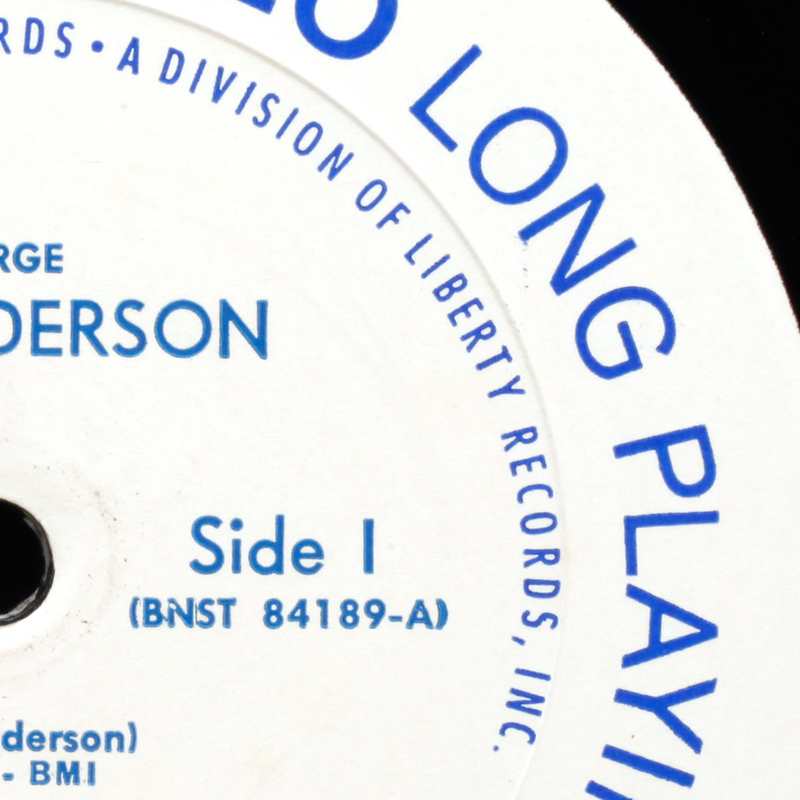 Liberty reissues outnumber original Blue Note copies many times over in the second hand market, but there is a historical lack of information for collectors on how to identify different kinds of Liberty pressings. Many sellers seem to assume they are all the same, which they are not. Blue Note Records Inc. had been an New York-centered operation. Suppliers, recording studios, pressing plant, label print, distribution and A&R, were all based on the East Coast. Liberty was West Coast in origin, a different animal. A few executives were despatched to New York, but manufacture was in future to be organised around nation-wide distribution, which meant several places of manufacture, using a completely different supply chain for each. Liberty acquired all the historical Blue Note assets – an inventory of tape recordings, metal parts and old stock labels and covers. Of importance to the collector, Liberty first used up any old stock of labels including even 767 Lexington Ave and 47 West 63rd St labels, even pre-registration without ®. Some of these reissues appear “original” in every respect, including van Gelder master stamp, except for the missing “ear”. LJC Collectors Note: there is no obligation on record sellers to describe what is not there – no ear, and in some cases, no Van Gelder stamp. If not mentioned, always ask! Be wary of claims I have seen like “original Blue Note NY label!” without mention of “the ear”, or failure to mention presence or absence of Van Gelder run-out stamp. Once old stock Blue Note labels were used up, Liberty’s own new “Blue Note Records, a Division of Liberty Records Inc.” label was introduced. The basic white and blue design continued in use until 1970, however, stylistic variations in typesetting and variations in colour hue are noted on the record detail, as printing and manufacturing extended to include other suppliers. Liberty was now owner of around 450 Blue Note titles already released, and an unknown number of other recording sessions which never made it to the release schedules. They allocated the task of manufacture of reissues to at least three, likely four plants, probably simultaneously. Plants located on the East Coast were supplied with original metal parts which we can assume were initially located in New York. Thus pressings by All Disc and some others East Coast plants like Keel Mfg., are generally pressed from Van Gelder masters, with Van Gelder’s stamp, and have labels printed by Blue Note’s original local printer, Keystone Printed Specialties. The method of manufacture of reissues on the West Coast however differed in several important respects. It looks like instead of shipping Van Gelder metal West, Liberty shipped copy tape to Research Craft, who’s engineers re-mastered the Van Gelder recordings for their own use. Side by side disc comparison shows different groove width setting from Van Gelder’s Scully pattern, and different diameter of run-out groove. Though the music is technically the same, tweaks and salient engineering equipment differences employed by Van Gelder to create “The Blue Note Sound” fell by the wayside. West Coast pressings manufactured in this fashion can be identified by their labels, printed locally by Hollywood giant Bert-Co, and the missing Van Gelder stamp. Bert-Co employed a number of compositer/typesetters, so slightly different layouts and font-choices occur on from one batch of titles to the next. The printing inks in use drift away from the original Blue Note pure colour Reflex Blue. This contrasts with the more uniform approach of Keystone in the way variable items such as album title, artist, song title information are set out. The two examples below are typical but other variations are found among Bert-Co labels. 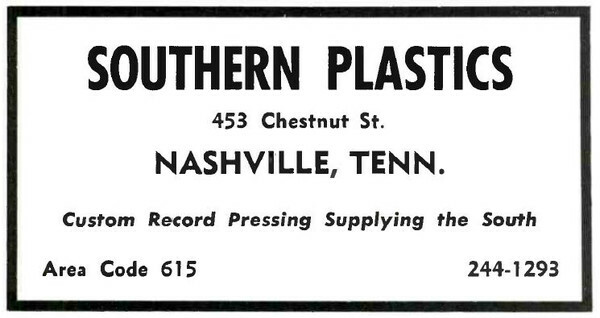 Given the 1966 vinyl pressing industry was operating at near full capacity, reissue pressing was also contracted out to third parties, which I believe includes the Nashville pressing plant, Southern Plastics, who had then recently extended their singles manufacturing capacity to press 12″ LPs. Southern Plastics also had a nearby plant Dixie Pressing, which had a history of pressing LPs for labels like Veejay. SP pressings are, like East Coast editions, Van Gelder masters with Keystone labels. Using the Liberty reissue of the popular title The Sidewinder as a worked example, three different pressing plants can be identified below. Importantly, the East Coast and SP pressing (large central 1.18″ pressing die impression) are from the Van Gelder master, the West Coast pressing (far right) is not Van Gelder, but re-mastered. These are typical character differences which distinguish West Coast printing and manufacture associated with non-Van Gelder mastering, though as with most of these things, there are rare and unexplained exceptions. Bert-Co label is sometimes found with Van Gelder stamp, possibly later manufacture after Blue Note assets were transferred to the West Coast, and very rarely, a Keystone-lookalike (well-formed ®) appears with a serif 1, possibly job of another printer. 19 out of 20 times the above similarities apply. The West Coast practice of re-mastering from copy tape occurred only in the initial wave of reissues. New titles – certainly those around and upwards of BST 8300, are from a Van Gelder master on both East Coast and West Coast pressings, and eventually the Blue Note assets were moved to Los Angeles, with original metal available for future use, including later after 1970 by United Artists. Anomalies will be found, because no-one can ever account for every possible event or circumstance. That Van Gelder/ Bert-Co exception could have been pressed after the metal assets were relocated to LA, who knows? In this case exceptions do not disprove the rule. All Disc manufactured high quality Blue Note pressings for Liberty Records. A tell-tale vinyl weight. (as found in my collection, of course, ymmv) All Disc pressings, are typically around 145 – 155 grams compared with original early Sixties Blue Notes of 160-180 grams. Pictures of the plant are not found, and it left no trace on records it pressed for Liberty. The only way of identifying Research Craft Reissues is through the its close association with Bert-Co labels, and absence of Van Gelder stamp. 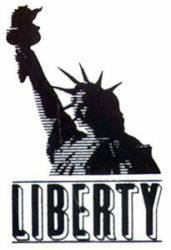 Trade press confirms Liberty was an SP client, among others, and the pressing die impression found on about 10% of my Liberty reissues matches those found on other labels known to use SP, like Chess and Veejay. Circumstantial, but little else to go on. East Coast plant which is believed to be the source of serrated edge pressings, which account for about 5% of Liberty manufactured reissues. Bestway is found, though only on one title, and quite possibly other contract pressings occurred. In 1968, Liberty Records was sold for $38m to the financial conglomerate Transamerica, who were looking to expand their entertainment industry portfolio. Transamerica, originally a banking and an insurance group, had been forced to divest itself of its banking arm, and reinvented itself as a diversified conglomerate, which included United Artists Pictures, the Transamerica airline, and Budget Rent A Car among other interests. . Significantly for the future of Liberty Records, United Artists Pictures had its own separate records division, United Artists. Their separate identities were destined not to last. “Blue Note Records, a Division of Liberty Records Inc” continued to function under Transamerica ownership for two years until in 1970, when Transamerica decided to rationalise Liberty and United Artists holdings under the United Artists Records banner, retaining the Blue Note/Liberty name only for marketing purposes. Here begins the United Artists years of Blue Note, timed with the evolution of jazz in many new and different directions. Liberty/UA, Inc. 1969 advertisement indicating the labels under Transamerica ownership, including Imperial, Pacific Jazz, Liberty, United Artists and Blue Note. Pressings by All Disc, as indicated by a Keystone printed label, vinyl weight around 150gm, with VAN GELDER master stamp, are excellent quality, with sound close to original Blue Note, possibly indistinguishable. These account for around a half of all my Liberty pressings. Original Blue Note records are generally the best edition for collectors, but can be prohibitively expensive. The next best alternative is often a vintage reissue. The obvious question for the price-conscious collector is how do these 50 year old Division of Liberty reissues compare sonically with similarly priced vintage Japanese reissues? Both sit in the $40 to $50 range. The quality of Japan’s King and Toshiba engineering and manufacture is highly regarded, but first, be aware there were two distinct Toshiba reissues – those manufactured for the Japanese market during the Liberty era (LNJ series, Division of Liberty label), and those manufactured from 1983 onwards, after the King Records era, distinguished by facsimile Blue Note labels with US address and regular BN/BNST catalogue numbers. The first Toshiba series (LNJ) are the best of the Japanese pressings, though still not as strong as the Liberty US pressings. The later Toshiba are good, but not quite as good as King Records, which are often to be preferred. I have both a Japanese and a Division of Liberty edition for comparison, the US Liberty is the more enjoyable experience, with more punch and immediacy. Vintage Japanese pressings are generally more restrained, and “soft”, though invariably near-silent vinyl in top condition. Whilst King are usually very acceptable, they are inconsistent, varying in strength from one title to the next. That variation may just be due to the quality of the copy tape supplied from the US, we can not know why. Neither are as good in my view as original Blue Note/ Plastylite. Original vinyl is generally superior to CD and most so-called audiophile vinyl editions. The reason is its all-analogue production process, which was rendered obsolete by the digital revolution of the ’90s. This taints Japanese, European and US manufacture over the last two decades, further complicated by the technical ability of sound engineers to re-master original tapes to their own sonic preferences. Be wary of Toshiba Blue Note pressings after about 1992 and definitely avoid anything manufactured in the last 10-15 years. Even so-called “RVG re-mastered” were re-mastered by RVG for CD, not re-mastered for vinyl. Toshiba merely transferred digital CD onto vinyl, resulting in wooden presentation with a cut-off top-end. The main black mark against Liberty was their effort to climb on the Stereo bandwagon by electronically reprocessing early Blue Note mono recordings for stereo effect. However, not everything is always as it appears. Some records labelled as “reprocessed for stereo” are not, they are straight original mono, merely labelled “stereo”. Some genuine stereo editions – stereo recordings between 1959 and 1961 -use Van Gelder’s two-track tapes intended to generate a mono fold-down, and go on to master them in stereo. These have hard-panning left right or centre, with instruments in unnatural positions on an unbalanced soundstage, for example, the lead instruments on far left channel, and holes where no instrument is playing. they are not “fake stereo”, just “bad stereo”. Sonically, the best are those sourced from an “RVG” stamped master, Van Gelder recorded AND mastered, which sound as fresh as originals, which effectively they are. The worst sounding records are those Blue Note reissues which do not have a Van Gelder source master. That includes West Coast Liberty reissues, Japanese and European reissues and modern audiophile. Rudy had been present in the original recording session, knew what the real thing sounded like, knew what needed to be done in mastering, it is the Blue Note bloodline. Later engineers have managed to create a richer more modern tonal range, extract more detail, but sound to me like what “lip-filler and bottox” does to improve on natures’s gifts, it sounds fake and inauthentic. You are welcome to form your own views. Thanks to WB, whose knowledge of 60’s vinyl pressing plants and label printing is extraordinary and unrivalled. Lee Morgan BN (8)4212, Liberty: Cohen misses to mention if P is present or absent, in both mono and stereo. any thoughts? The Gigolo, recorded July 1, 1965. Given the usual 3-6 month time from recording and mastering and pressing, this one is knife-edge on the cusp of Blue Note to Liberty transition. By rights it should have been Plastylite, but mine isn’t. I suspect there was Lee Morgan overload and it’s release was deferred, by which time it was bye bye Plastylite. Hi, I recently got a Charles Rouse Bossa Nova Bacchanal liberty pressing with a Van Gelder stamp on the run out groove. The label looks to be keystone. I’ve looked all around on Discogs and other sites but can’t seem to find any info on this pressing. I’m curious to know what era this liberty pressing was made? Any info would be appreciated. Hi LJC. I have a Liberty copy of Morgan’s Charisma. It has a VAN GELDER stamp and is also stamped made in Germany. Coin sized depression. Perfect r although cut off at the edge. BST 84 312K. The space between 4 &3 is printed like that. Would you like pictures? Hi there, there’s a Liberty labeled on eBay right now with no circle groove but with the small circle coin instead. Is that an authentic pressing? The R has a clear circle. Cheers! Your question is timely, Alvaro, as I’ve been using the holiday downtime to haul all my Division of Liberty copies down from the shelf and cross-checking what I have. The 1.15″ pressing ring is genuine pressing for Liberty I believe by Capitol, as those die-marks are well documented by Beatles collectors. The six copies I have are all manufactured with Keystone printed labels (well-formed ®) and are pressed with Van Gelder master metal-ware, no monkeying around remastering from copy tape. The connection may well arise from Scranton PA, where Capitol had a pressing plant, and was home to Keystone Printed Specialties. Speculation on my part. Ed, I have those two Eminent JJ albums, apparently with “Lexington” labels, but the vinyl weight and cover construction is way out of line with 1956 artefacts, more like Liberty. Your observation may be more than you thought. I sense a second pressing by Liberty using original metal, old stock labels of various periods, and something newer in cover manufacture. Any pictures you can shoot me, welcome, we can piece together the story. In the mean time, we’ll take Liberty into custody. I just picked up an interesting liberty mono 4009, Bud Powell. This one has the division of liberty address on the label which has the clearly formed circle around the ‘r’ . The inner sleeve is ’27’ years blue note ” which tells me it is a 1966 pressing. The cover is pre liberty exactly like the Freddie Hubbard LJC just reviewed. The odd thing is no RVG stamp. Anyway, it sounds great and is an affordable alternative to a very expensive original. Uploader of the original 1959 edition fails to note what is in the matrix at all. Poor show Discogs uploader, these things are important. Part live part studio? Mastering was surely in the hands of RVG, whoever recorded it. It is clear there are some Liberty pressings which use RVG master metal, and others which use local homebrew. If your copy does not have RVG on either side, that suggests there was a Liberty edition pressed from “home-made masters” made from copy tape at another location, probably the difference between East Coast and West Coast pressings. Thanks, Rich, yes that is exactly the way I compared them, stereo in stereo, mono in mono on my stereo, and your explanation make perfect sense. I just played a couple of King monos, they seem to be bigger in presentation but a bit duller sounding, hmm, need to make some more mono a mono comparisons! Your assessment of the Kings also makes sense, as those are known to be ‘darker’ masterings than other reissues. I’m not sure how the Kings typically compare to originals but my guess would be perhaps a bit darker. But I do know from experience that they’re typically darker than Toshibas (which sound stunning to me across the board, by the way). Some collectors pay a lot more attention than me to the various differences in top end between different reissues, which can be quite significant…I believe it’s one of the most important factors for some collectors in fact. They may have worn out the stampers, necessitating a new mother to be made and didn’t use RVG. BTW, I believe I read that you prefer the mono copies of these recordings from the Plastylite era, but how do you feel about the mono reissues from Classic Records, where do they stand in your opinion? It may depend on the specific title. I have the Mobley s/t 1568 from Classic, mono. Of the four pressing I have of that recording, it is the weakest. I have another Classic somewhere and I recall being disappointed with that too. On the whole, they look pretty but the sonics don’t live up to package. I know a few people who are pleased with the Classics. Over a dozen have come and went in my collection, I’ve kept two (one I’m not crazy about), another two maybe three I’ve sold off but they were good sounding records. Many more misses than hits though, which has a lot to do with substandard manufacturing. It’s possible that earlier Classics were made with higher quality control (they were sold with Acoustic Sounds at one point I’m pretty sure), the only way I know how to identify the earlier ones though is from the loose plastic baggie with the oval sticker, which is opposed to the newer ones with the sticker on the top of the cellophane-like packaging. Thanks, Rich and LJC, I picked up a couple of the Classic monos to check out mono BN’s in my system to see if I could hear what a number of people are saying about mono BN records. Comparing the mono to the stereo issue (Classic Fuego and Liberty Fuego) I find that the mono version just sounds a bit cramped with the cymbals are not as clear or splashy sounding, this is a playing a stereo cart on the mono phono setting of my Fisher X-202. Am I missing something here in the mono playback goodness? Thanks! Are you playing the stereo Liberty copy in stereo or in mono with the mono button engaged on your amp? Sorry, that wasn’t clear. If you’re comparing the Classic mono to the Liberty stereo with the Liberty copy playing in stereo, I think what you’re describing makes a lot of sense, that the cymbals sound “splashier” and clearer on the stereo. As LJC visitor Felix has clarified in the past, the highest frequencies — in jazz recordings, cymbals by and large — are most affected by summing to mono due to the fact that high-frequency room reflections that are captured on two-track tape are more likely to be out-of-phase and thus cancelled when a stereo recording is summed to mono in the way that Van Gelder made his mono masters (and the way Classic would have made their mono reissues). That doesn’t make Van Gelder’s 50/50 mono master somehow inferior to the stereo master of course, but the truth is that there is high-frequency energy on those two-track master tapes that never made it to the mono LPs due to the canceling I just described. All that being said, we need to keep in mind that if Van Gelder and Lion were monitoring in mono, they balanced the music without hearing those additional room reflections and mixed accordingly. If one likes how the stereo sounds that’s one thing but chances are the music was mixed as if those extra high-frequency reflections weren’t even there…FWIW. This seller on ebay describes several titles as being Pre Liberty but without a Plastylite P. This is very misleading and as a result, it appears Liberty mono re-pressings are getting bid up to more than their value. Caveat emptor. Not all sellers have got the LJC message. Liberty acquired a lot of “original” Blue Note inventory – stock of labels, covers, metal-ware, titles in preparation for release – which they paid for it and proceeded to use, why wouldn’t they? The only outward sign is the switch of pressing from Plastylite to the plant they bought for the same purpose, All-Disc, the missing ear. It all still sounds great. Watching auction values recently, I think originals are overpriced, and this secondary Liberty issue activity are undervalued,for the same reason. It’s clouded by muddy thinking. Things Liberty only went to hell in a handcart when Transamerica appeared around 1968 and production moved West to LA, re-mastering from copy tape instead of original metal, because “it didn’t matter”. Thanks for this reply. Very good point regarding value, because if a high quality Liberty press from Van Gelder’s masters sounds good then I suppose its worth paying a bit more in the current market and I agree, Plastylite pressings have just gone through the ceiling. The issue I had with these though was calling them pre-Liberty as if that implies a transitional period that was superior and not associated with Liberty. I can’t blame the seller for not being aware, just presumptuous. Are any of the Division of Liberty label pressings of the same quality as these early leftover labelled copies? I suppose as long as they’re from the legacy masters. I’ve noticed that some Liberty pressings of the same title appear with and without Van Gelder stamp. Example Hancock’s The Prisoner, and Donald Byrd’s Mustang. There must be an explanation. the only one I can think of is that they were cavalier about the use of original metal and copy tape. Meh, I give that seller a pass. With the exception of super-nerds like us, calling those records “pre-Liberty” will make sense to most people because, well, the labels and jacket don’t say “Liberty” anywhere. I think it’s fair for the common collector (and dealer) to assume that New York USA pressings are prior to the sale to Liberty. Hello, you mentioned that “… recordings, mastered by van Gelder and allocated a chronological Blue Note catalogue numbers (many in the range 4200-4250)” were first released by Liberty and would not have the “ear” stamp. So I’m now realizing that my New York USA copies of Cornbread, Dippin’ and Mode For Joe which I “settled” for may not have previous versions with an ear? Or would they? My question: you say “many” in the range 4200-4250. Would you happen to be able to list some titles in this number range which had a Plastylite press (either mono or stereo)? Are there any earlier than 4200 with no Plastylite press? Are there versions of Maiden Voyage (4195) with an ear floating around out there? 4203 – Andrew Hill – Andrew!! 4215 – Jackie McLean – Right Now! 4217 – Andrew Hill – Compulsion!!!! I had been meaning to do an official guide to the “Original Blue Notes” with no ears, but I was being lazy, so this question pulled me up short, and I have added it! In addition to those mentioned by Aaron there are a further twenty below the 4250 cut-off point which are also “earless” in their first mono issue. In addition to the stereo version of those thirty five mono being earless, there are another twenty or more other titles whose first mono edition is with ear, but stereo edition is without. That is listed also. Original pressings of Maiden Voyage were pressed by Plastylite and have the “P”/”ear”. I have a liberty label variation that is not pictured above. lou Donaldson 4263 mono. Division of liberty label, no van gelder stamp. The title, catalog numbers and songs are printed in much darker blue ink, it almost looks black. I see you added my picture, glad I was able to contribute something useful. Just to be clear it is not a van gelder master. Also, if you look at eBay auction 191869297419 you will see a label like mine. But if you look closely it is a stereo pressing with mono labels! I have a couple of issues regarding Liberty 1966-70 reissues. Perhaps you can help me. I was going to add Page One to ‘my collection’ on Discogs. The copy in question has the ‘A Division of Liberty’ label on side A but ‘New York USA’ on side B. I understand that earliest Liberty reissues came with New York USA labels, Liberty labels or a combination of the two. Now, there is no blue and white ‘A Division of Liberty’ version of Page One on discogs, so I thought I would add it. However I am not quite sure about how to label it. Should I add it as ‘reissue, blue and white Liberty’ or as ‘reissue, one side Liberty/one side New York’? What would you do? It is not merely a misprint is it? Also, do you know the year of release? Besides, I added Empyrean Isles blue and white Liberty mono reissue the other day, a release which I had not seen elsewhere. Do you know the year of release? Thank you for an incredibly rich and enjoyable blog! Liberty mono unusual though not unheard of. Just sound-check to confirm it is indeed mono. I have heard records which are not what the label says. As regards date, the best indication is the status of the label – is it a Keystone printed label? These are printed by the same company as Blue Note was, same colour inks, same font set – the ® has a perfectly formed circle. If its Keystone, then 1966, possibly 1967. If its a different printer, probably later, 1968/9, no-one knows for sure. has anyone found some of the blue and white, Liberty era RVG STEREO stamped LPs to be especially prone to distortion? I have a few Donald Byrd LPs (Cat Walk, Fuego, Royal Flush) that all have some noticeable distortion in dynamic peaks. It’s a strange coincidence, as they are about the only records in my collection that have this problem. Earlier and later RVG-stamped stereo LPs that I have don’t exhibit the same problem, and my cartridge usually tracks very well (the stylus was recently replaced). The RVG STEREO stamp seems to be almost universally (mono collectors excepted) considered a good sign, but I have some later, non-RVG dark blue label pressings that play much better than these RVG Liberty stereos. Any thoughts? Just a dangerous combination of wide stereo, loud horns, and old stampers? FWIW, Royal Flush looks like a Keystone job, not sure about the others. Now that I think about it, the difference might also lie in the fact that the Liberty pressing of Jackie’s Bag was the very first stereo issue of that recording, if i recall correctly. So, no worn stamper in that case! Today my friends asked me to go to the shopping mall where I usually buy groceries every week. On the second floor I saw a record seller (mostly LPs) and, browsing in jazz section, I remembered that he owned two copies of ‘The Amazing Bud Powell’, that I again found. Both were priced 40€. I examinated them (both labelled “Blue Note”) and found a ‘1982’ printed on one of them. I asked for a discount and I got the other one for 30€. Then I got home, and I started investigating for its age and real value. According to your indications, I may guess that it’s an early NY Liberty re-issue: it weights approximatively 160/170 grams, it has no ‘ear’ and it clearly says ‘a division of Liberty records, Inc.’; it’s mono, and I see the ‘RVG’ and 9M signs handwritten in the deadwax. On the cover, the ‘Liberty era’ BN symbol runs on Bud’s neck. Finally, I examined carefully the Label (on both sides), and it really seems a Keystone, with circled R (even if not really beautiful) and a slight colour difference between the titles and the ‘microgroove’ & address writings, as in the first of the different Liberty labels picture that you posted. I’m happy – for two reasons: I have high chances of owning a good quality record (it’s fairly new, no scratches at all) and I really discovered the world of philological jazz studies. What may be this copy real value? Congratulations Danilo, welcome to the world of Blue Note Later Pressing Connoisseurs. The 1982 sounds like it would be a French Pathe Marconi, certainly re-mastered for re-issue, but in any event its not especially valuable, my guess, worth may be 20 euros. As for the earlier copy, what you have described is an early pressing (1966/7) for Liberty using stampers derived from the original RVG master. Everything else is just incidental, that’s the thing that counts. That I would expect to be worth 40-50 Euros in excellent condition. Powell is brilliant but supply and demand counts, he doesn’t have a lot of appeal to the DJ dance-floor demographic (if only he had taken up the Hammond organ…) and he is not as collectable as the more rare Blue Notes, so prices are softer. Your record dealer seems to have a fairly keen sense of price, as has everyone with internet access nowadays, there are few “bargains” . What counts is that you have something quite hard to find, that has the van Gelder genes, that may well be in better condition that a genuine older original, and so be a better listening experience. I think you did well overall. Thank you for the additional information. Like you, I have noticed that the “keystones” with the Van Gelder stamp sound excellent. They, unfortunately, seem to be getting harder to find in near mint condition. I do have some wonderful “King” pressings with remarkable detail, but as you also wrote, they lack the dynamics of an authentic Blue Note. After being ripped off numerous times by sellers who grade with a strong light, I decided not even to consider an expensive record that wasn’t play graded. Some sellers don’t even possess a turntable. I’ve noticed records that look terrible and sound near mint and some that look new that play with constant, irritating scratching noises. Sometimes a perfect “King” is a relief after listening to many defective original Blue Notes. This is an expensive way to learn that a visual grade is totally unreliable. But those few near mint Blue Notes that I managed to snag are an indescribable aesthetic experience. They pull one into another world. It’s mind boggling that with all our new audio technology, we can’t reproduce that sound, at any price. Not only did Van Gelder know what the artists wanted, he knew what it was like to sit in a small club, like “The Village Vanguard,” a few feet from the group. There is nothing like the sudden, hair raising sound that comes on full force at the start of a great session. It seems miraculous that Van Gelder was able to put that experience onto a piece of vinyl. that begs the question regarding the 75th anniversary issues. Was said that the digital files used in those recordings were eq’ed to sound like the original vinyl records issued on the NY labels, this is in direct opposition to the eq’ing done on the music matters reissues which were/are mastered to give the best possible (hi-fi?) sound that those tapes can provide. So, do ANY of the 75th anniversary issues sound like the original pressings done by RVG? If it was possible to produce something that sounds like original Plasylite 50’s/60’s pressings, you would think someone would have done so by now. It’s not like they haven’t been trying. I think the 75 editions are an honourable effort to bring great music, affordably, to the vinyl newbie. Don Wass should be commended for that. Anything beyond that is the triumph of hope over experience. After listening again to the few authentic Blue Notes I own, I have to admit that the Japanese pressings don’t come close to my Blue Notes. The best one I have is the stereo version of Jackie McLean’s “A Fickle Sonance.” This record not only sounds new, but it has extraordinary clarity. For some reason, my copy of his “One Step Beyond” is good, but not as clear as “A Fickle Sonance.” It still, however, is better than any of my Japanese pressings. The variation between particular Blue Note records was extensively discussed in other areas. But I think the striking sound of real Blue Note records comes from the repeated experience of hearing great sessions in a small arena, like “The Village Vanguard.” There is nothing like sitting a few feet from these master musicians and composers. The music is right in your face. The force and beauty are overwhelming. It takes the mind to a different world. It is very different from the sedate, living room sound of the newer audiophile pressings. I am reminded of Stravinsky’s dissatisfaction with every performance of his “The Rite of Spring.” I remember that he kept saying it should sound savage. I also remember hearing a lecture from a great painter. He kept repeating that the purpose of art is not to make you always feel happy. Its purpose is to make you feel. It may produce feelings of anger and disgust. It may create feelings of love and sorrow. But it certainly should evoke strong feelings. I sometimes wonder whether the new generation of audio engineers ever attended a live jazz concert at a small club. Or perhaps they are so uncomfortable with strong feelings, that they are adept at blocking them out. I believe the dynamism captured by Van Gelder was due to the fact that he was not merely an engineer. He was a jazz aficionado. Thank you for thoughtful and perceptive comment. It is an enigma to me why different issues of the same recording sound as they do, I am not an engineer, but the difference if often very clear. One exception is NY/Liberty – 1966/7 – which mostly have the cohones of their Blue Note parentage. As for our friends from Tokyo, I will say they are an affordable alternative to the unaffordable originals in the 1500 series (Mobley 1568 anyone?) and their take on stereo is often well-tempered. The benchmark is always acoustic instrument live performance in a small setting (not stadium-size concerts or indeed home entertainment systems). That said, the musicians-in-the-room experience of original Blue Note engineered by van Gelder is one of the only things that comes close. And as my time machine is currently undergoing repair, trips to the Village Vanguard and Café Bohemia are in short supply. Bless Rudy, his time must be short. The emotional connection is real with live performance or sound that is near. It seems to fall away with lesser transfers. My theory as to why is the retention of transients and micro-detail in good analogue recording and reproduction by same, though at this point some folk start hand-waving to call for the men in white coats. We are heading down the WordPress drainpipe view, so I’ll keep it short. To me the unknown variable in sound quality is the position of any pressing between first and last off the stamper. I have heard a few test pressings and later pressings and I believe this is the main explanation. Imagine, the first few of a later pressing or reissue could sound better than an end-of-run earlier pressing. Wait! the men in white coats are coming, quick, no time to lose, keep them talking while I make my getaway. LJC’s original mono copy of Maiden Voyage is (as far as the needle drop indicates, anyway) one of the best sounding records I have ever heard. hi, LJC, and thanks for the great and informative website, I am finding the most excellent information here! I do have a question(s) with regards to the UA issues on the blue/white label, no RVG. As noted in an earlier column, you find these to be among the best sounding, do you discuss this reissue series elsewhere? The reason I ask is that I have that same jackie mac on UA and it is probably my best sounding BN! Also, I did not see anything on the later reissue series “Connoisseur series” or the “Audiophile” that I believe Capitol/EMI did in the late ’90s or 2000’s… thanks! As a general rule, no RVG stamp is a sign for caution, but it is not absolute, and these Div of UA “classic series” reissues are one of those exceptions. The source tapes would have been Van Gelder recordings of course, so they start out sounding right, just (re) mastered by in-house UA engineers, who on the whole did a commendable job. Finally found The amazing Bud Powell Vol1! Liberty Mono Pressing, handwritten RVG, 9m. Wonderful sonics. I don’t know what was going on with this record but its the record with the most electronically rechanneled for stereo pressings that I’ve seen. It was driving me Un Poco Loco but I got it. Nice score! I picked up a Liberty mono Vol.4 Time Waits pressed from original stampers and I agree, these sound great. Good stuff! This is the same copy I have. Wonderful sound although my copy has some light static throughout even after a good cleaning. It’s funny to hear Bud humming along in the background to his tunes. Hello LJC, I love your site! I haven’t been able to find anything on your site in regards to Solid State records (I’m Probably not looking in the right place). I have a Thad Jones/Mel Lewis record that sounds quite good and would like to get a little background on the label. I don’t have any SS records so I can’t comment on audio quality from personal experience. However I am always willing to make a guess. The problem with United Artists, as it was with some other labels at the time, they didn’t have an sound engineer champion at top level in the same way you did with Blue Note/ van Gelder, Contemporary/Roy duNann. Finance/ accounting / marketing/ A&R all called the shots in corporate settings. You got the duty engineer of the day, who may or may not have an ear for jazz. As a result, the recorded output is usually a bit hit and miss. Not to say your copy is not good – your opinion is the only one that matters. Its not an expensive sought after label, so may be a source of good value finds. I have just picked up this very same record referred to above by Diego – Thad Jones Mel lewis Consummation with the Liberty Blue Note logo and ‘Solid State Seres’ found on the gatefold cover. In the deadwax is the Bell Sound mastering stamp while the label is Liberty. I have to say the sonics are excellent – a big full-on sound. The cover and record are in excellent + condition and so not bad for the measly £6 I paid on ebay. I’ll be snapping up more if I see them. I have a few No Van Gelder Liberty pressing and they are Horrid. Flat, Thin, Metallic. I think my McCoy Tyner, The Real mccoy was the worst and unbearable. 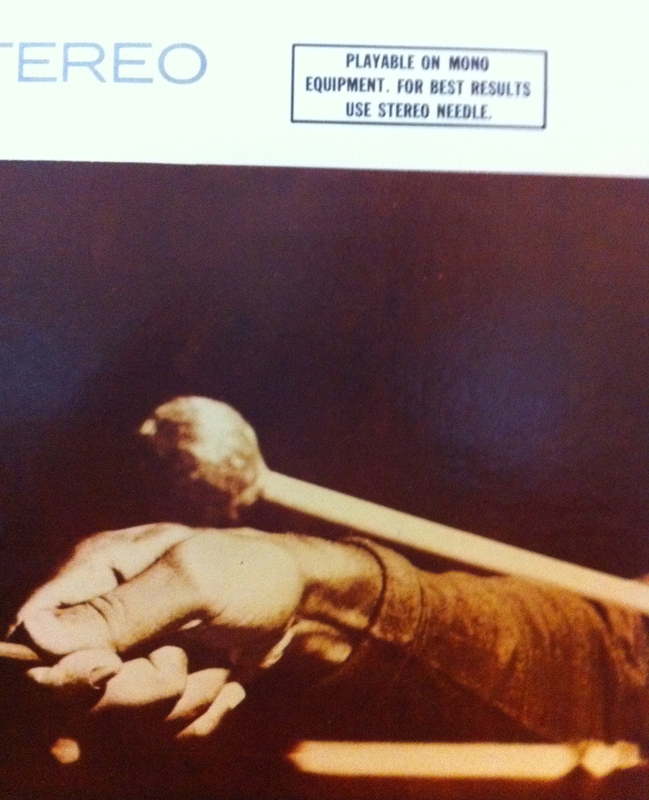 Ike Quebec Blue and Sent is O.K, Conquistador by Cecil Taylor….Oh my. 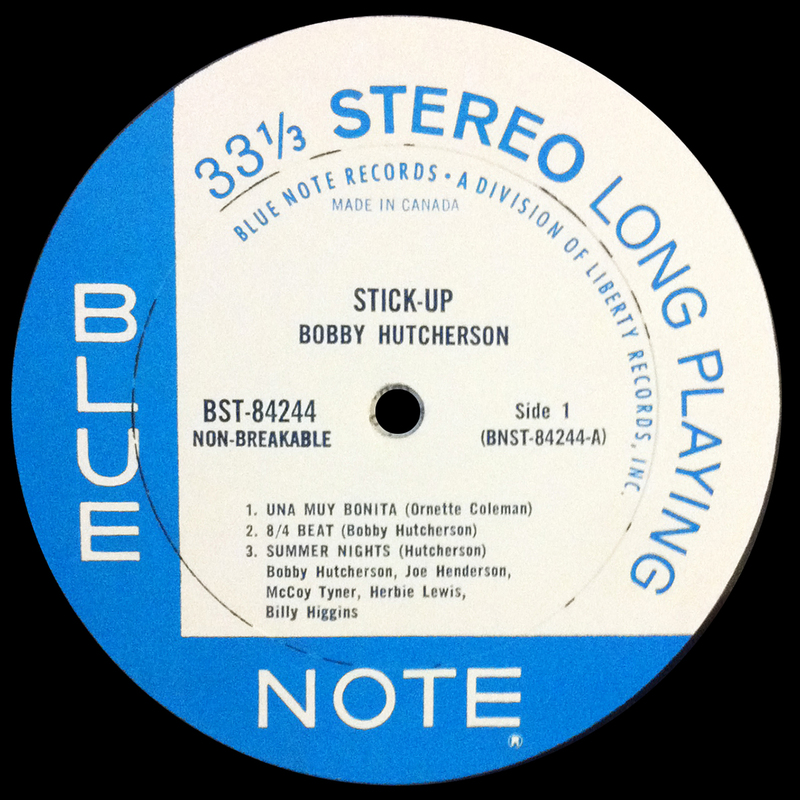 Re: “early East Coast Liberty pressings, as indicated by Keystone labels, are a good predictor of superior audio quality.” – I have a Bobby Hutcherson Liberty LP (“Total Eclipse”) that the label, as noted by the well-defined ‘R’ as you mentioned shows it to be from the Keystone pressing plant. In cases where the Liberty pressing was the original and not a reissue though, LJC, do you still attribute a great degree of difference depending on which plant the record was pressed at? Thanks as always! I don’t have that particular Hutcherson title, but I have a few from his Liberty portfolio and they sound great, though there is no competition to compare. I am guessing it has a Van Gelder etching? Its the surest sign of a better result. Keystone had been Blue Note’s label printers and the initial continued association between Keystone by Liberty seems to anchor the NY/NJ printing/pressing fraternity, be it Plastylite or All-Disc Roselle, a good job was done by all with the material supplied. Consistently good. Once you stray outside this Axis of Goodness, things become more flaky. That printed label could be supplied to any pressing plant. Less than scrupulously clean transfers (mint copies that click and pop) , occasionally sub-standard lacquers, compression of dynamic range to reduce tape hiss with accompanying loss of transients, less capable engineers, inclusion of recycled vinyl, just some of the issues that come up, not every time, but more often than they should. Even if they got everything else right, I still believe the strongest determinant of audio quality is each records position between first off and last off a stamper during its useful life. Other than “promo” copies, its difficult to predict an early pressing, and even that is not guaranteed. LJC, I just checked the etching last night in the deadwax. There was a faint stamp so I couldn’t read if it said Van Gelder or not actually. I see your point re: first and last off the stamper. Given the LP really ‘pops’, I’m thinking it’s earlier off the stamper but might be hard to do that comparison not having at least a promo copy to compare it to. Thanks again for the helpful info. I wonder if the different printers account for the fact that (on my records, anyway), the blue ink on some of the traditional design Blue Note labels bleed and smear with the slightest brush of water, while others wouldn’t bleed in a rainstorm? I’ve found cleaning them especially tricky for that reason. Different printers would account for that difference, I suppose. We are at the frontier of evidence-based knowledge here. Its all a bit tentative, but I feel its making sense – connecting the right dots. The fastness of inks and the absorbency of paper is outwith my knowledge. I have a few smudged labels, and I guess there is another thing we don’t know about. I just have this feeling in my water – certain colours, certain fonts, the right degree of acuity, the right vinyl weight – If it looks like a duck, walks like a duck, sounds like a duck…it may well be a … bannana. Happy Holiday, as you say.